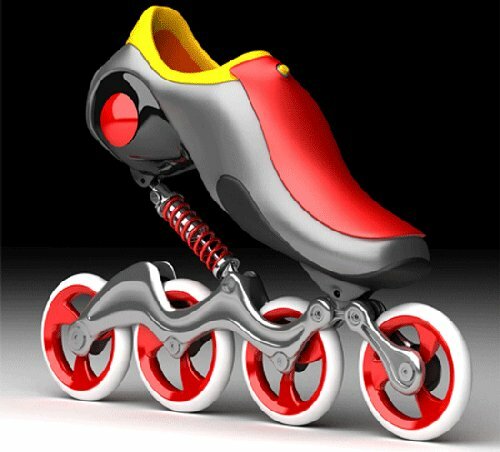 I have seen the future of skates and its name is Mercury. It’s finally skating weather for those of you who enjoy it, but all that vibration due to crappy roads and sidewalks takes away from the experience, doesn’t it? Maybe designer Pouyan Mokhtarani will make it a more pleasant experience with these skates that look like they are still scorching hot due to arriving from the future. Springs and airbags in the shoes could make skating feel as smooth as ice skating. Judging by the looks of these skates, skating may even be like flying. So, we all know that motion controls like Nintendo’s Wii are the future of gaming. The Stix controllers even took a stab at it for the PC. Actiga has an interesting take on it (We think) and has announced a new line of Mini-Motion controllers that will be available in different game categories. USB controllers will be available for Mac and PC, that resemble such things as skateboards, RC Cars, baseball, and a racing vehicle. Each of the controllers connect via USB and will sell for $19.99. It’s unclear if the controller has games built-in or if they are simply controllers to be used with other PC games that already exist. 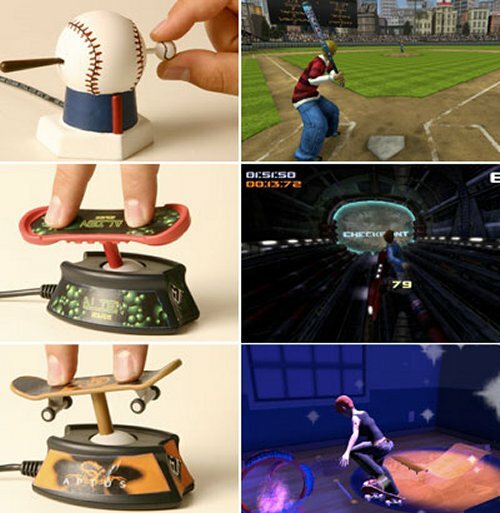 I mean, we’re assuming these aren’t just glorified joysticks. Last month we told you about Aptus’ new line of Mini-Motion controllers that will be available for different games. Here’s some more info on the games. The games planned are called Cars of Fury, Hoverboard, and Home Run King. Yeah, they don’t sound all that swell. 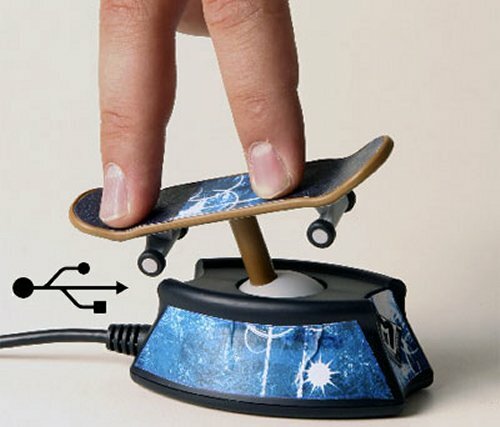 The skateboarding game comes with a miniature skateboard controller; the car game has a USB car; Hoverboard has a hoverboard etc. They connect to the PC via USB. In the Cars of Fury game, you race the RC cars around the track and try to blow up the other guys. As far as the Hoverboard game, you’ll be racing in power-tunnels at mach speeds and doing tricks. It all sounds very crappy and just as we thought, it would appear that these are just fancy joysticks with little or no motion control. 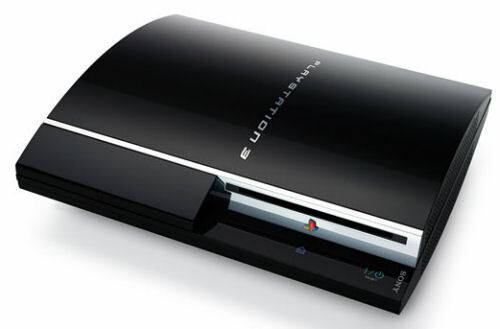 Sony Corp. has recently stated that it may not be reaching it’s shipment target for this year with the PlayStation 3 game console due to a crossover parts shortage with the Blu-ray high-definition disc drive. Sony’s plans are to ship two million PS3 players before the end of this year in the U.S. and Japan, and six million worldwide in Q1 of next year.